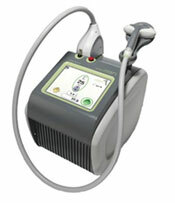 Launched in the UK in 2006, the Titan™ device, manufactured by Cutera Inc., is marketed as “a safe, non-surgical process that uses a totally unique range of wavelengths to tighten skin and reverse the signs of ageing”. The Titan™ procedure heats the dermis (middle layer of the skin) to a depth of 1-2mm with light energy to cause immediate collagen contraction, (or skin tightening), whilst protecting the epidermis (surface/outer layer of skin) with a continuous in-built cooling system. 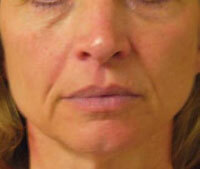 It also stimulates long-term collagen rebuilding, leading to younger looking skin. Broadband spectrum of light in the range: 1100 - 1800 nm. The surface layer of the skin (epidermis) is kept cool by a continuous contact cooling system built into the Titan™ handpiece, which gives pre-, during and post-cooling direct to the outer skin layers . The Titan™ energy therefore only heats the deeper dermis layer where collagen is located. This hand piece has an extended tip for an unobstructed view of the skin`s surface, making it ideal for treating delicate areas around the eyes and nose. This hand piece has a treatment tip twice as large as the Titan™ V, making it ideal for treating larger areas such as the arms, legs and abdomen in a faster time. It also has an extended tip for an unobstructed view of skin`s surface. Titan™ is cleared for the treatment of wrinkles in Europe and for general dermatologic use in Canada. In the USA, it is cleared by the American FDA (Food & Drug Administration) for topical heating to increase local tissue temperatures and circulation. 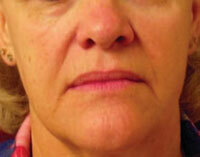 An additional FDA clearance is pending for the treatment of wrinkles. The Titan™ does not currently come under current Care Quality Commission legislation and can be used by a trained aesthetician with medical supervision. The Titan™ procedure treats lax and redundant skin throughout the body - including the abdomen, thighs and underarms - and is also used to tone, lift and tighten skin on the face and neck. 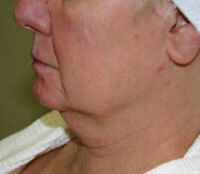 Loose skin along the jaw line, under the chin, the abdomen and upper arm have responded best to this procedure. 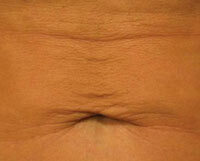 Some practitioners have also reported that it can improve the appearance of stretch marks. As Titan™ works by heating the tissue under the skin’s surface, and doesn’t affect the outer layers of skin; it is suitable for treating people of any skin type (colour). 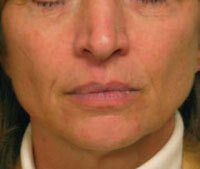 Some people see results immediately following treatment. However, for most people, the results are gradual over a 1 - 3 month period as new collagen is formed and the skin tightens. The Titan™ treatment is not able to stop the ageing process. However, it is able to reduce the visible effects of ageing. 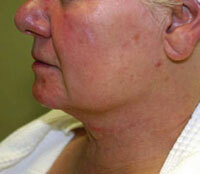 Clinical studies by dermatologists have shown the improvements last 1 – 2 years. Further treatments can be given when needed. The treatment is intended to be ‘near painless’. A warm sensation on the skin, similar to being on a sun bed. Some people, depending on pain thresholds, may experience a feeling of heat which may be uncomfortable. 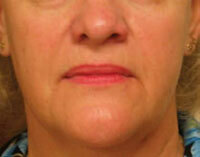 Mild swelling and redness, post-treatment, which may last 24 hours but will normally resolve after a 1 - 2 hours. Titan™ works best on individuals aged 40 – 70 with healthy skin. It cannot treat large areas of loose or redundant skin, such as after massive weight-loss, which may be better suited to surgical approaches. The time taken for a treatment session will depend upon the size of the area being treated, for example a full face and neck treatment will take approximately 1 hour. The cost for Titan™ treatment depend on the area(s) being treated and can start from approximately £750 per session for areas such as the whole face or abdomen (tummy). Larger areas such as the face and neck combined start from approximately £900. Smaller areas such as the neck or part of the face (upper or lower) range from £300 - £500 per session. Multicenter clinical perspectives on a broadband infrared light device for skin tightening. Taub AF, Battle EF Jr, Nikolaidis G.
J Drugs Dermatol. 2006 Sep;5(8):771-8. Ultrastructural effects of an infrared handpiece on forehead and abdominal skin. Zelickson B, Ross V, Kist D, Counters J, Davenport S, Spooner G.
Near painless, nonablative, immediate skin contraction induced by low-fluence irradiation with new infrared device: a report of 25 patients. Click for ALL Titan ™ clinics in the UK & Ireland registered and verified by Consulting Room.